A Tampa mother is hoping to stop speeding drivers in her neighborhood by getting the City of Tampa to install an official "slow down" sign on her street. TAMPA, Fla. — A Tampa mother is hoping to stop speeding drivers in her neighborhood by getting the City of Tampa to install an official "slow down" sign on her street. Danielle Rodriguez lives along 20th street near Foster Elementary School, where kids are walking in an area with several missing sidewalks. The speed limit is 25 miles per hour, but Rodriguez said drivers are often driving much faster. There is a crossing guard at a main intersection near the school, but Rodriguez said once cars pass that point, they often continue speeding. She has installed her own "slow down" sign in her front yard but is hopeful that an official sign from the city will make a greater impact. "They see our sign right there," Rodriguez said. "Some of them will slow down. So I think if something pops up new that catches their attention, it's like people know 'we're speeding down the street. Let's slow down." ABC Action News went to the City of Tampa to see what needed to happen to get an official "slow down" sign installed on her street. 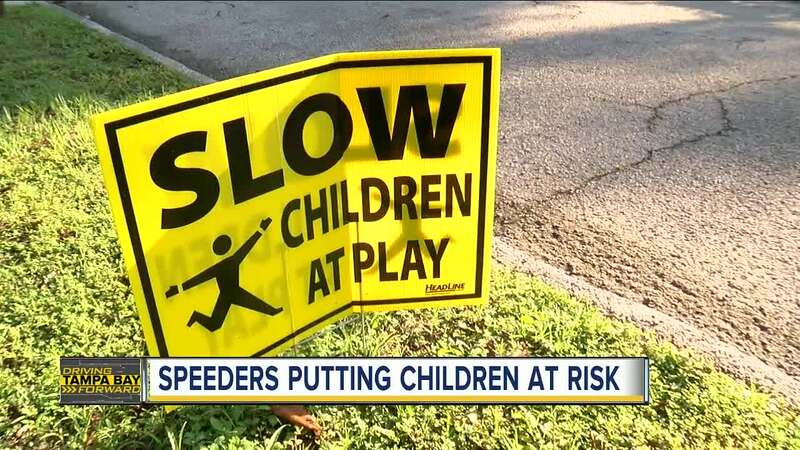 Jean Duncan, with the City of Tampa, said typically the department likes to do a speed study to determine if there is a consistent problem and a need for an official sign. The speed study typically takes between six and eight weeks, Duncan said. ABC Action News has requested a speed study on Rodriguez's behalf and will update the results here when the study is complete. 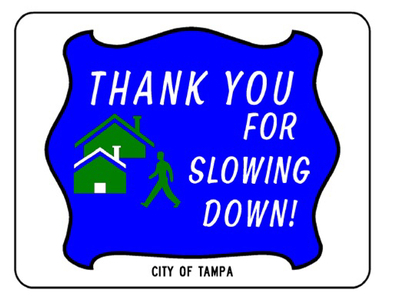 If you would like to request a speed study in your neighborhood or report another traffic issue, visit the City of Tampa's Traffic Investigations and submit a request.